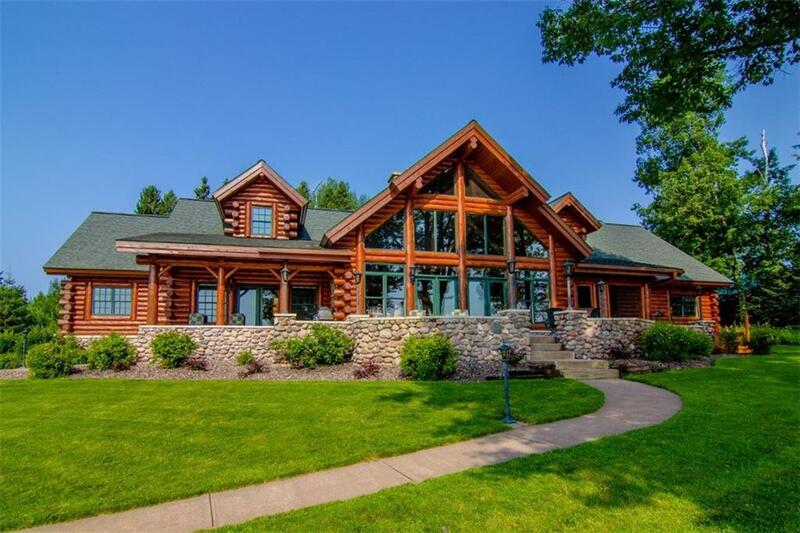 Chippewa Flowage--Spectacular custom log home on Moore's Bay offers the best of all worlds: exceptional design & quality, 424 feet of level shoreline, and stunning easterly views overlooking charming islands. The 6 BR, 6.5 bath home features a stately living room with stone fireplace, owner's suite including an office and sun room, and 4 additional BR suites. Sandy shoreline, boat house, private boat launch, 1.5 ac buildable lot. Attached garage & 40x60 det garage. Watch the video for more!